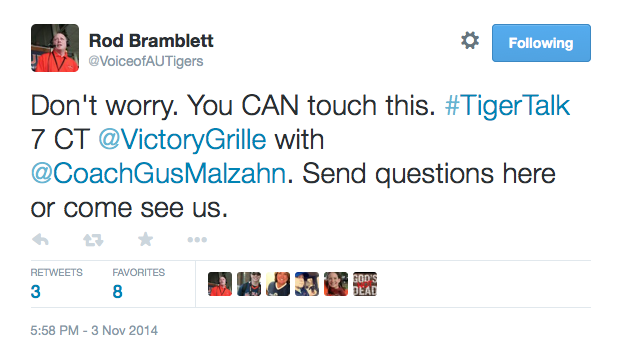 Move over, #AuburnFast—the 2014 Auburn Tigers may have themselves a new slogan: Can’t Touch This. It’s already showing up on shirts. Auburn fan Kim Trimble showed up to the broadcast of Gus Malzahn’s weekly Q&A radio show Tiger Talk at Bob’s Victory Grille Monday night wearing a custom-printed T-shirt with the words “Can’t Touch This” beneath a yearbook photo of Malzahn during his high school coaching days, an obvious reference to the video of Malzahn breakdancing to the 1990 MC Hammer hit U Can’t Touch This back in 1996 that surfaced Sunday after years of residing only in brief rumored-to-exist references in Malzahn profiles. 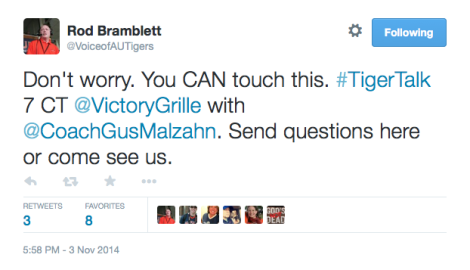 Tiger Talk host Rod Bramblett, who of course made sure the show’s intro song this week was U Can’t Touch, noticed the shirt and asked Trimble, a Tiger Talk regular, to show it to Malzahn. It’s the second time in a week Trimble, who first attended Auburn University in the late 1980s and is currently back in school pursuing a degree in Environmental Science, has paid popular tribute to Auburn’s coach. 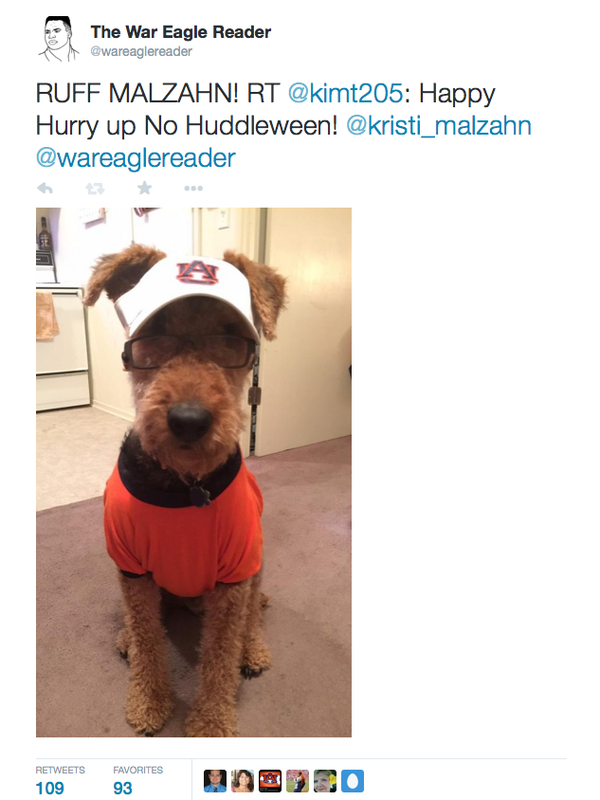 A photo she took of her Airedale Terrier Beaux dressed as Gus Malzahn was one of the most retweeted Gustume photos of Halloween. 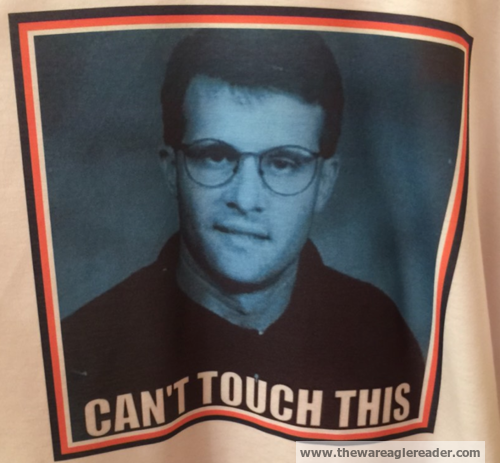 Related: The story behind the long-lost video of Gus Malzahn breakdancing to ‘U Can’t Touch This’. Please help TWER keep on keepin’ on!